The summer of 2017 has been great for new music—and for taking notes on rock star tactics you can adapt to your marketing communications. One artist has even used smart strategic communications to position a comeback album as something much greater — a triumph. Let’s take a look at how that has worked and see how you can achieve something similar. It follows several years of relative quiet due to a public court drama. Necessary background here—even after former Sony producer, Dr. Luke, allegedly abused her, the courts decided she must honor her contract to continue to work with the record company for six more albums. But Kesha has matured into an experienced singer-songwriter who wants to heal people through art. Her team needed to communicate that to the world with this new album release. On July 5, 2017, kicking off a rolling thunder approach designed to build momentum, Kesha surprised fans with an Instagram announcement about new music coming the next day. The single and album announcements were followed by three more singles released weekly, and then Kesha hit the morning show circuit the week before the album release. What’s especially innovative about this approach is that Kesha placed original, bylined essays as exclusives in feminist, music, and mainstream publications to announce each weekly music release and to position her brand. The articles and new songs supported the strategy of positioning Kesha as a maturing, feminist singer-songwriter. She’s still edgy and unapologetic. She traded in her neon leotards for a pantsuit and she’s more interested in sharing experience and wisdom than singing about brushing her teeth with liquor. The essays also positioned the album release as a personal and feminist moment of triumph, set squarely within the narrative of Kesha’s personal and legal struggles. Listeners join Kesha in triumph over depression, eating disorders, and oppression. The choice of first single and essay were strategic. “Praying” talks about radical forgiveness. It’s aimed at Kesha’s alleged abuser. With the release of Kesha’s first essay and single, the album positioned her music as about more than the singer-songwriter. It positioned it as more than just the next album to download this summer. It’s also a beacon of hope and inspiration for oppressed people who are ready to fight back. That message of “triumph” pulled through to third-party reviews of the album. From there, the next weekly placement supporting “Woman,” a feminist song in its right, targeted readers of a top-tier publication of the music industry, Rolling Stone. The day before the launch, Kesha read a letter to her 18-year-old self in a taped a segment on CBS This Morning. You’ll become severely bulimic and anorexic, she says. And the worse your disease gets, the more praise you will get from some people in your industry. And this will really, really mess with your head. It’s tough to watch without tearing up a little and feeling close to Kesha and her story. You’re gonna learn that art can heal people, she tells herself. Except for the CBS Note to Self, the essays also provide an opportunity for analysis, a situation that good marketing communicators wish for every day. Each article links to a video on VEVO which leads to YouTube where links to stream or pre-order wait. Changes in traffic to these shared web properties over time can show causality. It’s brilliant that Kesha’s high-level strategic communications work right alongside subtle demand generation tactics linked directly to sales. 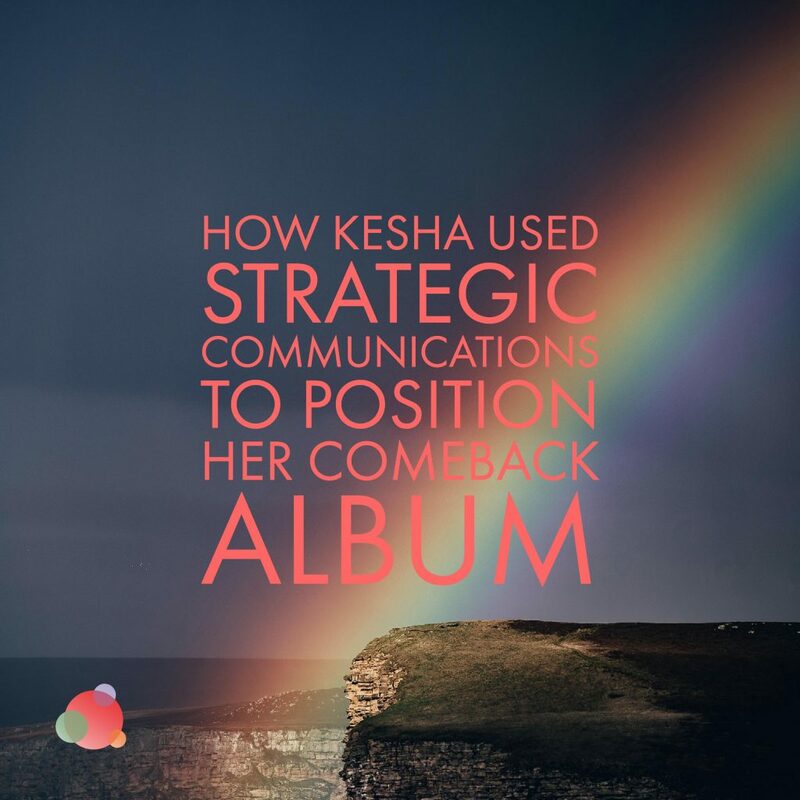 What can you take away from Kesha’s “Rainbow” launch to use in your own marketing communications work? Use the power of bylines to position your executive, company, event, or offering within a new or pre-existing narrative. First, never underestimate the power of telling your story in your own words through bylines. Outlets are hungry for content that delivers value for readers. Offering bylines helps editors while getting you in front of audiences. Second, never underestimate the power of good storytelling, and never doubt there is a story to be told. You just have to dig. Ask who makes your widget? Who designed it? Who uses it and how? There is always a story. Be brave as you consider risk. If Kesha’s team had considered it too risky to lean into her story and tried to sweep it under the rug instead, this comeback would probably feel disjointed and inauthentic. I wouldn’t have spent a morning watching her Note to Self with a tear in my eye. Combine these, and you create a moment that will be engaging and emotional for people. Consider the match between your content and the publication to maximize the effectiveness of your earned or paid media. 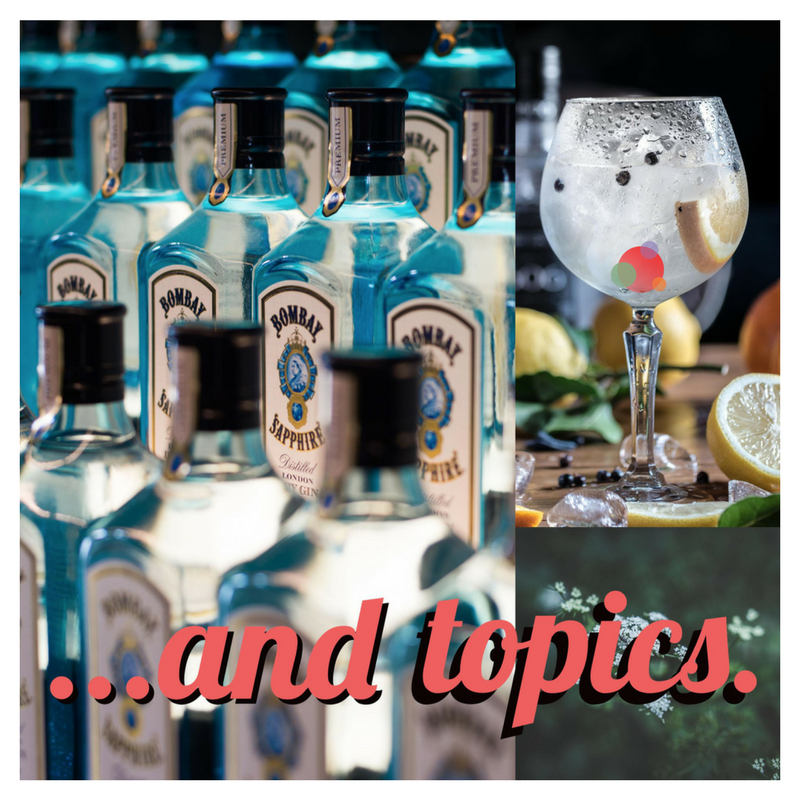 Make sure you pitch the right content to appropriate outlets. But my point goes a bit deeper than that. Note that Kesha and team chose a feminist publication to announce the album and release the first single. The choice of outlet positioned the communications to come. Then they chose “Rolling Stone,” a more mainstream music outlet, to release “Woman,” a song which delivers a feminist message. Two different combinations of content and media, but the feminist message pulls through in both. Marry strategic communications with demand generation content—link all content to properties where you can measure traffic, and draw the audience into your sales funnel from there. Strategic communications and demand generation efforts do not have to function separately. In fact, they work better together. And make sure you can measure just how well things are working. Enjoy all the great music coming out this summer, and please share any innovative music marketing tactics you see. Dwayne Alicie is an integrated marketing communications professional in the San Francisco Bay Area. Over the past 15 years he has worked on communications at a Fortune 500 B2B technology company as well as small social justice organizations with big missions. He lives for simple Italian food and wine and to connect people to things that make their lives better.